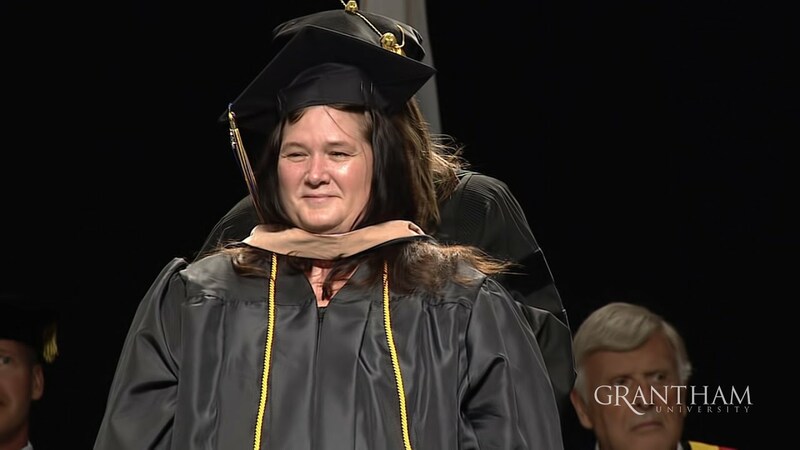 On August 6, the Life Changers of Grantham University will once again do something pretty unique for a 100% online university … we will host the 2016 edition of our annual live-and-in-person commencement ceremony. Graduates come from all over the world to walk the line. They meet with faculty, staff members and fellow students and graduates – often for the first time. For me, the look in their eyes as they realize the fulfillment of a life-long ambition is, as cliché as it sounds, priceless. I just love it. In fact, I have it better than most of my fellow Life Changers, I get to meet with a few of them one-on-one to learn their stories and share them with you. I’ve already shared a few of those stories from last year. With that in mind, here's another story that gives me the feels. I work for Customs and Border Protection. I’ve been there 28 years. I do a lot of admin work, a lot of timekeeping. I write some SOPs, Standard Operating Procedures, and whatever else I can do to help. How did you hear about Grantham? I went to the Federally Employed Women’s (FEW) National Training Program. I was looking possibly to do my master's degree somewhere and Grantham happened to be at the National Training Program. One of the ladies talked with me, showed me the different master's programs available. I decided I was going to go to Grantham. Between working full time and taking care of two sick sisters, there were nights I was up late … one that I didn’t get any sleep at all. I had some illness during the time I was attending classes. I didn’t know why I was getting ill or so tired, but I found out later that I had breast cancer. That's terrible ... and yet you still finished school, how? My advisor was fantastic in helping me. The professors were very understanding … putting off a test for two weeks so I could get better. In class, we had discussion groups, and even would email each other, to encourage each other to keep going, to reach the goal line. The flexibility of the hours was a big help. I am a survivor. I’m cancer free. What will your MBA from Grantham do for your career? We’ll see where it takes me … but I do believe that this degree will take me places. It’s already helped me with a different job interview. Attention Graduating Students – Register for Commencement Today! Click here to sign up for Grantham’s 2016 Commencement Ceremony on Saturday, August 6, 2016, at the Kansas City Performing Arts Center!